Whether you donate $10K, $10M, $10B, all of today’s donation options have you following the same general path: due diligence, donate, and hope for impact. The Impact Security offers a new, better way to donate to any cause with measurable impact. 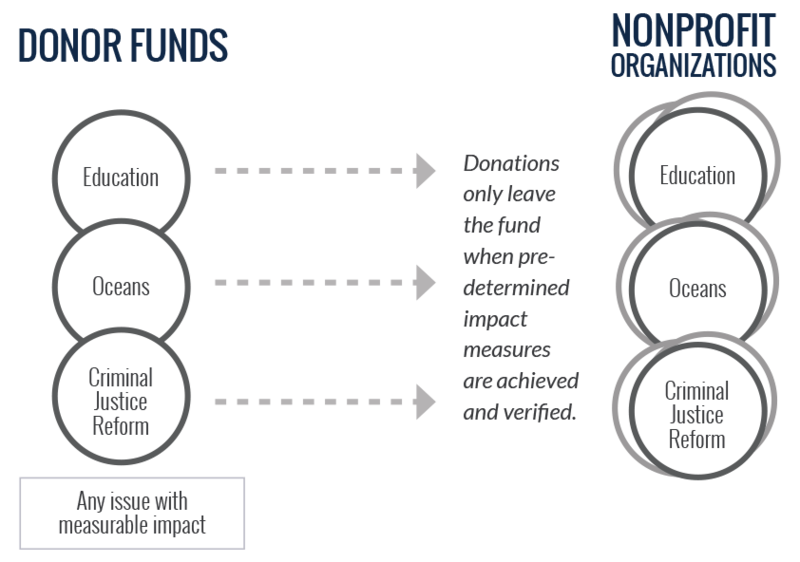 Using the Impact Security to deploy capital, NPX offers an unparalleled donation fund structure that explicitly links capital with impact. Select your impact area(s) and/or nonprofit organization(s). Allocate a percentage of your philanthropic capital. Determine your preferred level of involvement. Let NPX create a custom portfolio of performance-based donations for you.